This is the perfect Valentines Day gift for your loved one. 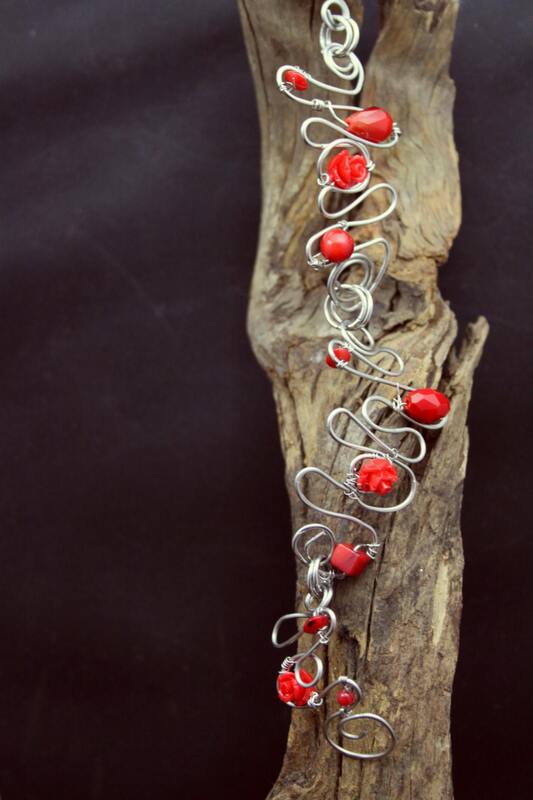 It is very unique and designed by me, with free-form wire art. The beads are applied after it is hammered. The delicate little red rosebuds are very unusual indeed. 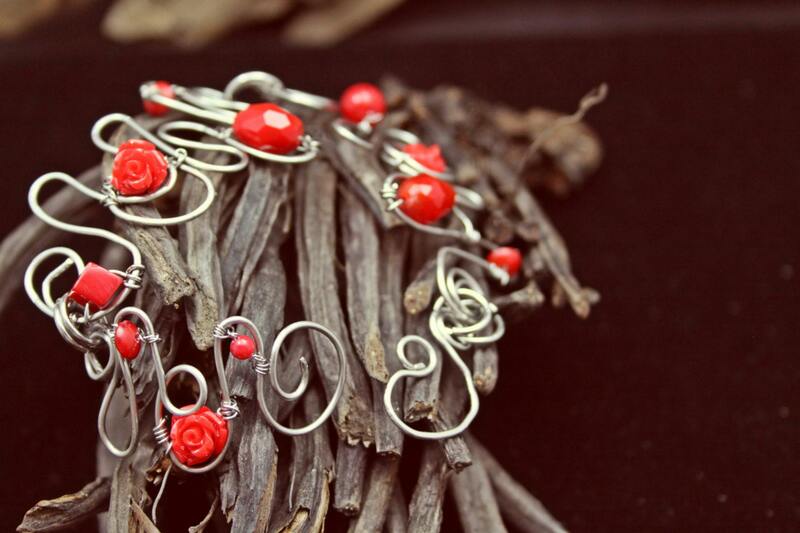 What better way to say I love you than Red Roses on a beautiful handmade in America wire art bracelet. 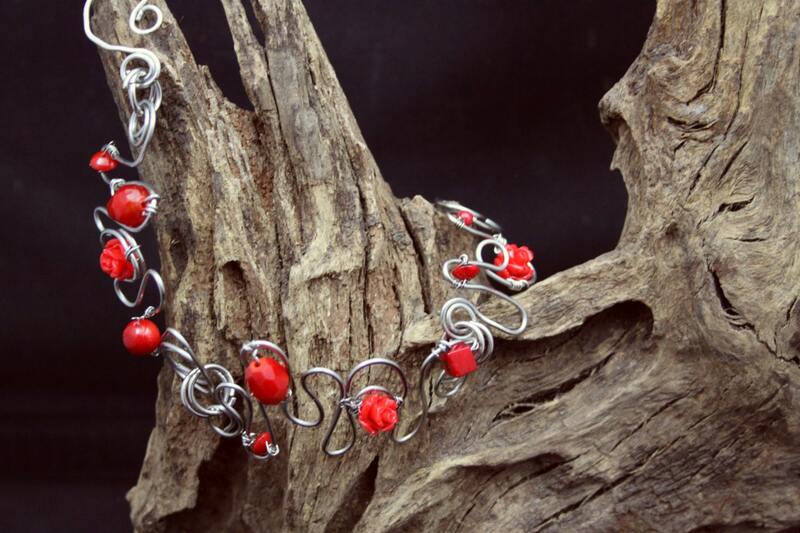 The Bracelet measures 7.5" and is lightweight. Ther are 3 of the little rosebuds total. I can adjust the length per your request.